Sebastopol is in need of a strong vision and development policies that support that vision. The city’s general plan was last updated in 1994 and is required to be updated by 2014. The time is right to shape a vision for our future. Without a strong vision, Sebastopl will continue to develop in a piecemeal fashion as it has been. The result of this piecemeal development has been a poorly defined ‘core’ and emphasis on accommodating vehicular traffic at the expense of other modes of transportation. Sebastopol had once been the civic, cultural and commercial center for the surrounding community. The downtown focus of the community was eroded with the introduction of the car and development patterns that favored cars over people, as happened in so many places across the country. Commercial activities spread from the center of town along the north-south state highway which diffused the importance of downtown. People are now realizing the importance of vibrant, pedestrian-oriented, mixed-use neighborhoods. These neighborhoods strengthen the local economy, contain sprawl, support community and healthier lifestyles. Sebastopol needs to develop a strong urban core along these lines. If we can create a strong downtown, I believe Sebastopol can once again become the civic, cultural and commercial center for the area known locally as West County. In 2003, the city began a process to create a specific plan for the area to the northeast of downtown which had become known as the Northeast Area. The area had developed through the years as the apple-processing zone of town and primarily contains warehouses and light industrial uses today. The area had been crossed by railroad spurs which have been removed but have left their legacy in various rights-of-way and odd-shaped parcels. The area lacks through streets and a general connection to the rest of town but is situated between downtown and the eastern boundary of Sebastopol which is the Laguna de Santa Rosa. In its current configuration it is a barrier to this local natural resource. But the location holds great potential to expand the downtown core and connect to the resource we have been ignoring for years. The city hired a consultant, Design Community & Environment, to complete the specific plan. The process took several years and involved numerous public meetings including community workshops, meetings with property owners, and public hearings including design review board, planning commission and city council. In the end, the design review board and planning commission both recommended approval but the city council never adopted the plan. It’s probably sitting on a shelf in the planning office. A strong vocal opposition came forward during the draft approval process and succeeded in completely derailing the plan. Things had been moving rather well to that point and the proponents of the project were not prepared to adequately address the opposition. This was unfortunate because the plan provided the groundwork for creating an effective pedestrian-oriented mixed-use environment which is exactly what must happen in the Northeast Area. 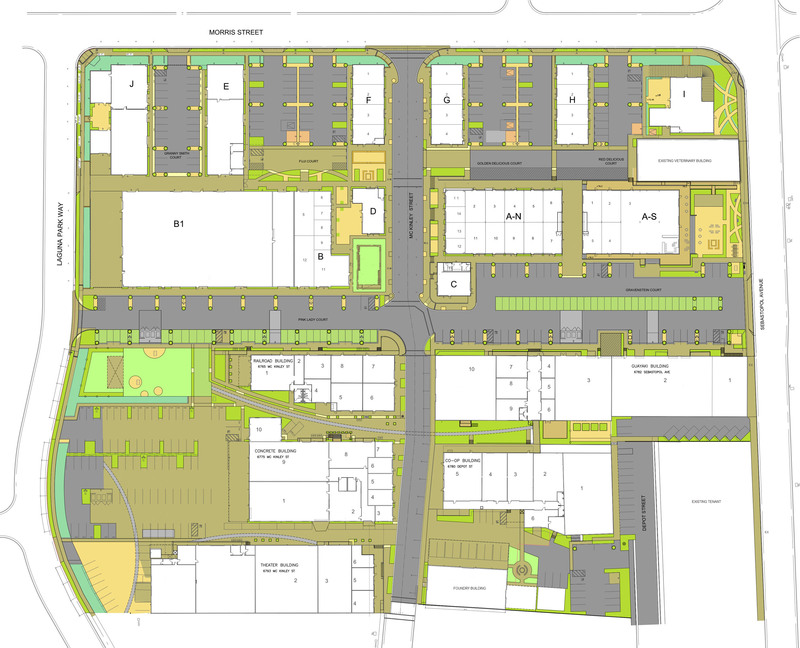 Many of the parcels in the area were rezoned from industrial to allow for a mixture of commercial, retail and residential uses and a SmartCode form-based code was included as part of the specific plan. It required green development features, and incentivized others. It was a progressive vision for an underutilized area of town. It was a plan for the future that included new residences, office, retail and civic space. It would have given future developers direction for how development should occur in that area of town, and allowed for higher density development than the existing zoning code allowed for. But as I’ve said, it was never adopted. One of the biggest arguments posited by the opposition was that the plan would increase traffic congestion. The current general plan has a level of service (LOS) standard for downtown intersections that would have been exceeded at peak hours if/when the plan was fully implemented (many downtown intersections already operate at LOS F during PM peak traffic). The specific plan included language to drop the LOS requirement at downtown intersections from the general plan while acknowledging that successful downtowns are often congested places. Sebastopol does have its traffic issues, but they are of limited duration, primarily from 3-6 in the afternoon, although the public perception is that traffic is much worse. This is a topic for a future post. Here is an interesting discussion regarding LOS standards and traffic modelling and why they are misapplied in downtown settings such as this. I could see that without a plan such as the Northeast Area Specific Plan that the area could be developed in a random manner which is exactly what is starting to happen. A large development called The Barlow has started construction at the east end of the Northeast Area. This development, while having good intentions, could have been so much better had the specific plan been adopted. I think the development is as good as can be expected under current zoning, but it is essentially single-story buildings, surrounded by parking. The strength of the development lies in the tenants. Most are locally grown businesses, many featuring locally grown foods and artisan food producers. What is lacking is any residential development at this point. The residential component is important to create the clients for the new businesses as well as the existing businesses downtown. The Barlow will also add an important through street connection to provide additional circulation options through downtown. 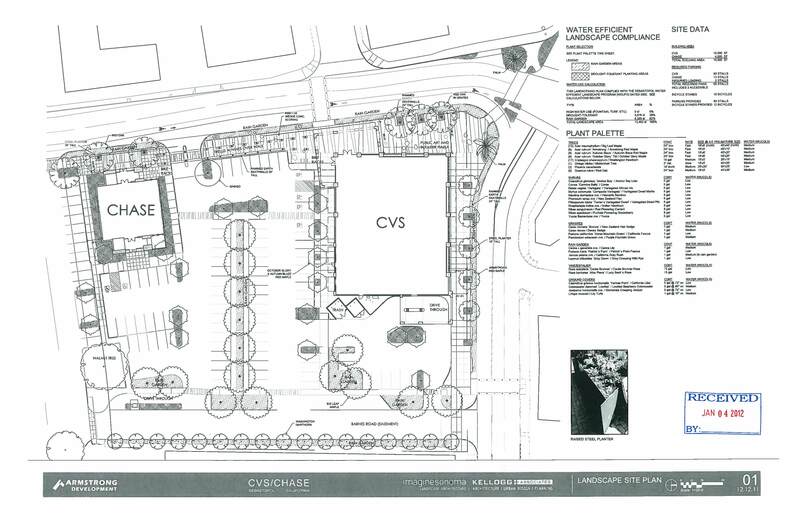 Another result of the failure of the Northeast Area Plan is a proposed CVS/Chase bank development. Also very suburban in nature, the development includes about 20,000 sf of development on a 2.45 acre site (a FAR of 0.18) at one of the most prominent intersections in downtown. http://ci.sebastopol.ca.us/page/special-projects. The project was rejected by the city planning commission, a ruling which was overturned by the City Council. The design of the project was rejected by the design review board, a decision which was upheld by the council. It remains to be seen what course the developer will take at this point and if the project is dead, or will come back revised. This site needs to be a mixed-use multi-story building to be good urban design. This is what was required by the smartcode, but not by current zoning. With current significant development proposals coming forward, we have no time to waste. We must come together to create a vision for a mixed-use pedestrian friendly urban environment that provides housing for a mix of incomes, local availability of goods and services and access to transportation options to secure Sebastopol’s position as the civic, cultural and commercial center of West County. This vision MUST be supported by general plan policies and a zoning code so developers know what is expected of them. Without a vision and required supporting development documents the core of our downtown will continue to be eroded and we will have lost a significant opportunity.